Happy Monday! I decided to do a monthly empties post instead of holding onto my beauty trash any longer. I also went though my makeup and was able to declutter quite a bit so my bin was looking pretty full! I went though 26 beauty and home products this month! I feel like that is quite a bit for just one month so maybe I was just lucky and was at the tail end of a lot of products. I only had a little bit left of my Head and Shoulders 2 in 1 so I just finished it up. I didn't use this super often because it was just okay. I didn't feel like my hair was getting super moisturized but I always feel like this is great for my dry scalp. 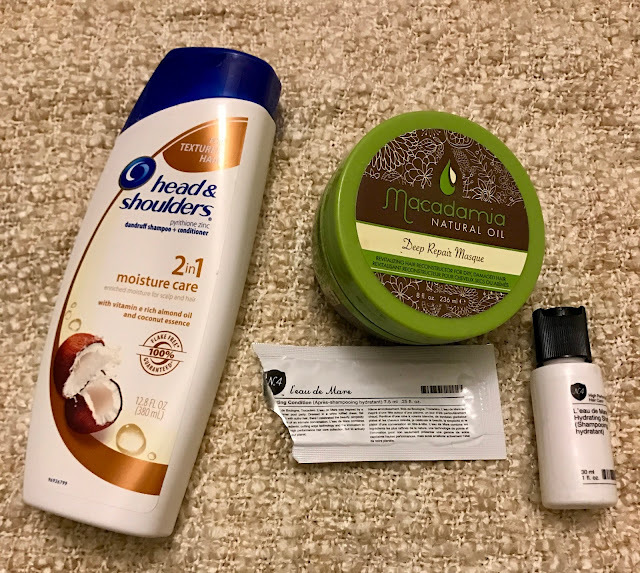 The Macadamia Hair Mask is my all-time favorite hair product and is always in my empties posts. It makes my hair so soft no matter I do to it and I will continue purchasing this. The No4 Shampoo and Conditioner samples were just okay. I thought they smelt like they were meant for guys which I didn't love and wasn't super moisturizing or great. I'm glad this sample is gone! I finished up one soap this month. Bath and Body Works Winter Candy Apple was great. The smell was awesome and I love Bath and Body Works soaps. I know it's no longer winter but I've been trying to finish up some of the Christmas soaps because I have so many soaps stockpiled right now. For shower and bath products I have four empties to show you. The Body Shop scrub was decent. I liked the smell but didn't think the scrub was super great. This was something I picked up at Marshalls on a whim but I think I've satisfied my curiosity for The Body Shop scrubs with this product. I finished two Not Soap Radio shower gels; one in green and one in clear. I am officially all done with these mini samples! Lastly was a sample of bubble bath from Fortune Cookie Soap. I liked this but didn't love it. I am intrigued by other Fortune Cookie Soap products though! I finished up two body lotions in March. The small hand lotion in Endless Weekend was awesome and I used it religiously at work. 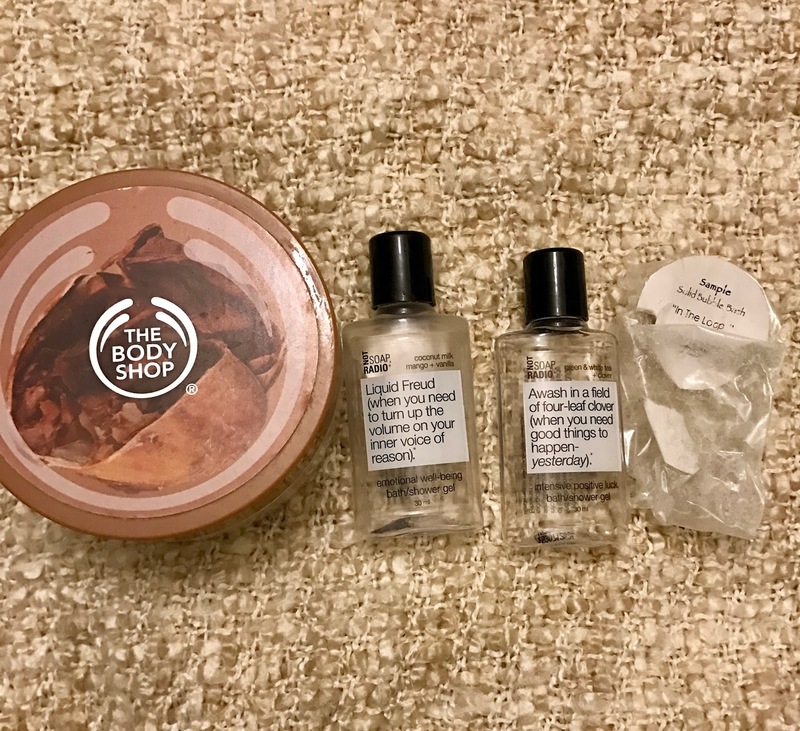 I love these small hand lotions for on the go or places like work where I don't want bulky packaging. I would repurchase this scent and the hand lotions in the future. 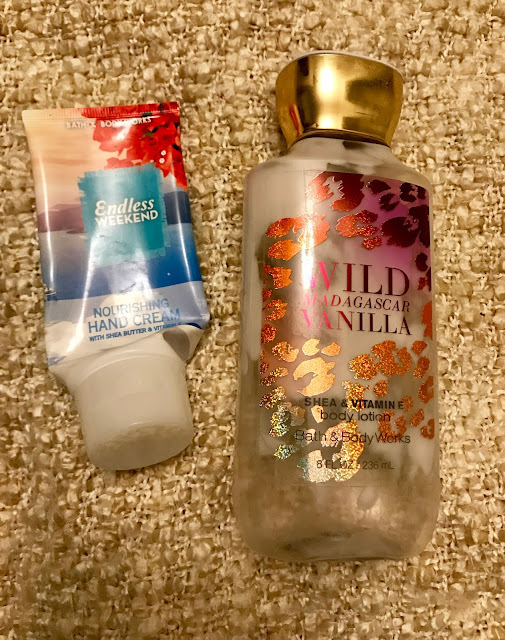 Wild Madagascar Vanilla was also great but I don't think it will be one I repurchase in the future because there are scents that I like much better. For personal care I used a Dove deodorant, Sensodyne toothpaste, and Origins Check and Balances Face Wash. 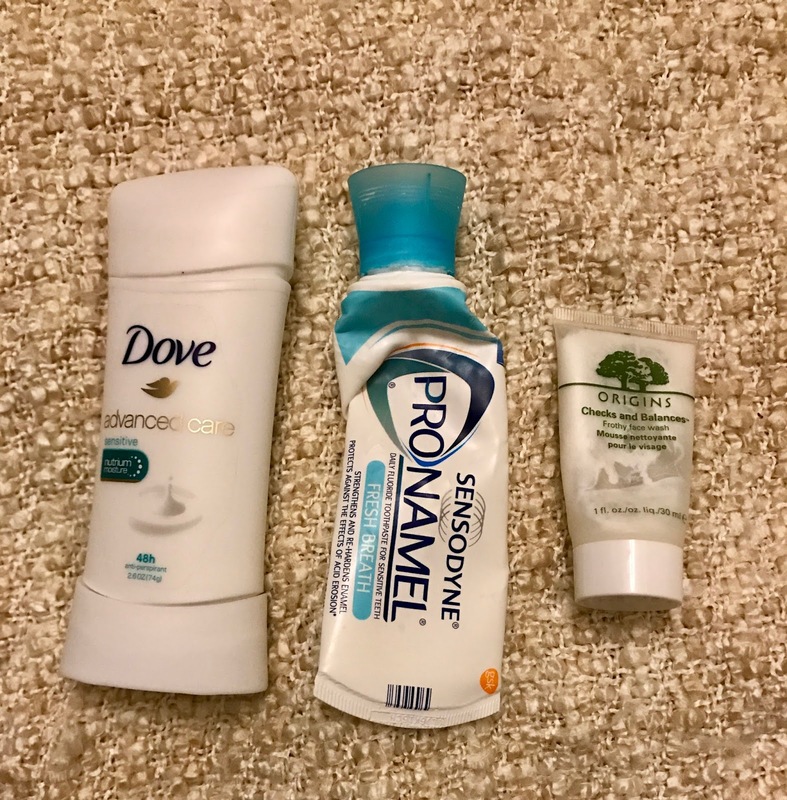 The Dove deodorant is great and I would consider repurchasing although I am trying to stick with natural deodorants. I have already repurchased the toothpaste since Sensodyne is all I really use. The Origins face wash is something I was super intrigued in and I found that it worked really well. I don't know that I would purchase a full size of it because I am loving the product I am currently using but we shall see! Two cleaning products and two dish soaps were finished up this month. The Method All Purpose Cleaner in Apple was amazing. 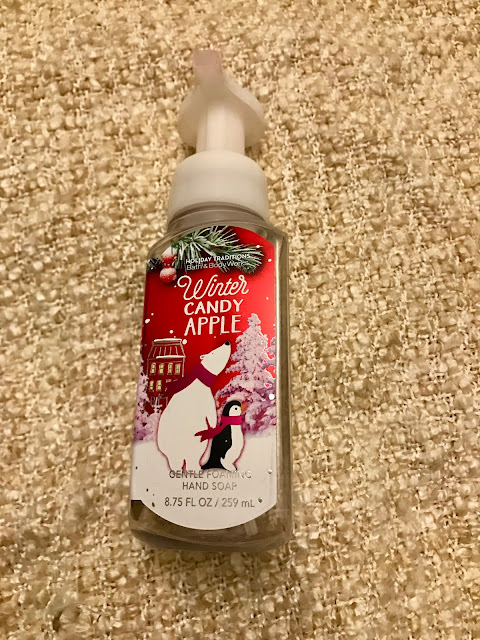 I believe it was seasonal scent back in the fall but if I see it again this year I will definitely purchase it. 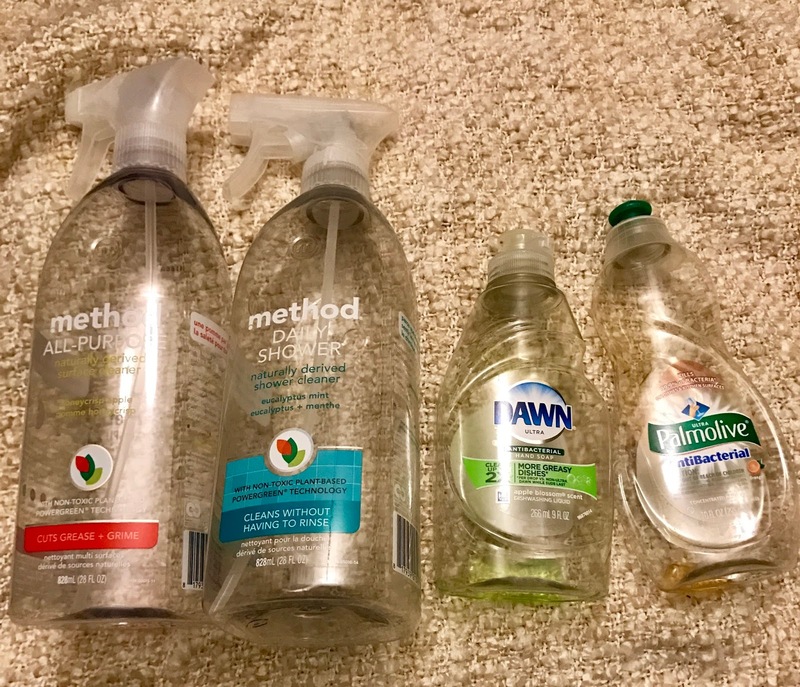 I use Method All Purpose cleaner for everything from the kitchen counters to the bookshelves. It works well at dusting and cleaning and is natural which is a huge plus! I also finished up the Method Daily Shower Spray. I use this after I shower and spray it over all the walls and the shower curtain to keep things clean in between full shower scrubs. I have already repurchased it and will keep doing so! I used two dish soaps one by Dawn and one by Palmolive. I just use whatever I can get a deal on so I'm not too picky! For makeup products I had a few empties as well. 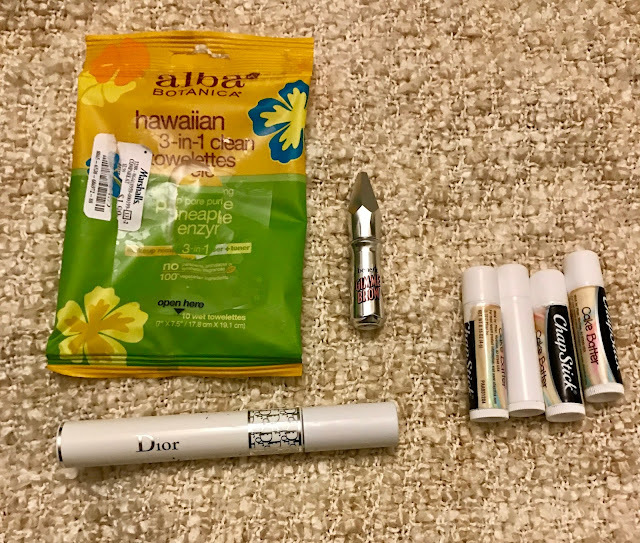 The Alba Botanica Makeup Wipes were great! This little pack was super cheap when I got it from Marshalls but I would definitely repurchase these again because they worked well and didn't hurt my skin or eyes. The Diorshow Mascara Primer is such an amazing product and I keep repurchasing it because it makes my lashes so long and full. I have yet to buy a new one but my next Sephora order will definitely include one. The Benefit Gimme Brow was just okay and seemed to be a little dark for my brows. I will not repurchase this in the future. I also used up four Cake Batter Chapsticks which you know I've already purchased more of! Lastly a product I forgot to include in my original picture. 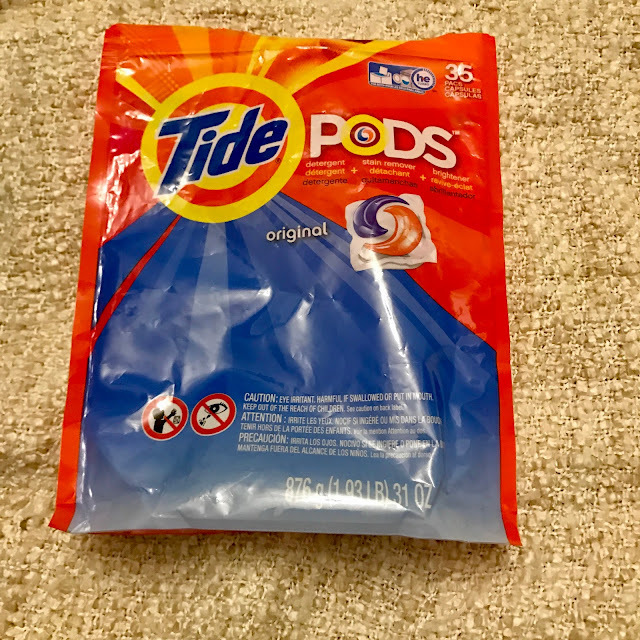 I have been using Tide Pods for all my laundry and find them so easy and convenient. I will keep repurchasing them and hopefully stockpiling them for super cheap when possible. I also mentioned that I had decluttered quite a few items this month. I sorted through my makeup and I was super picky about what I kept. I know I still have way too much but here is what I'm getting rid of. The Maybelline Full Bloom Mascara was super wet and wasn't something I liked. The three Reese Witherspoon perfumes I've had for ten years and the scents were starting to change. I honestly have so much perfume that I could never finish all that I have so it was time to part with some. The Beauty Rush spray was something I've held onto for a long time which also is true for the Vanilla Berry and Tropical Spray from CVS. Thats six less sprays that I have in my collection. I am tossing three BB creams which are old and I never were able to really use. There are six eyeshadow palettes that I have used a little bit of but never was able to finish. There are also four lipsticks that I have never touched but I am finally saying goodbye to. 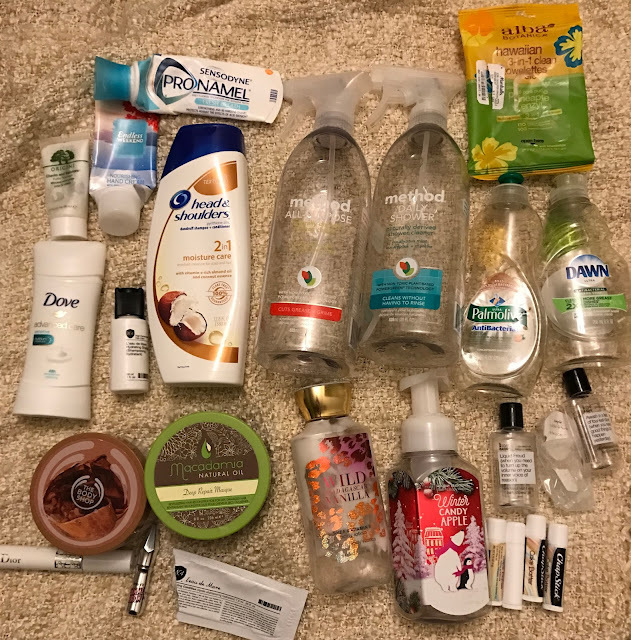 That is twenty products that are out of my collection from my declutter! So the final count for products gone in March is 46! 26 products emptied and 20 decluttered! 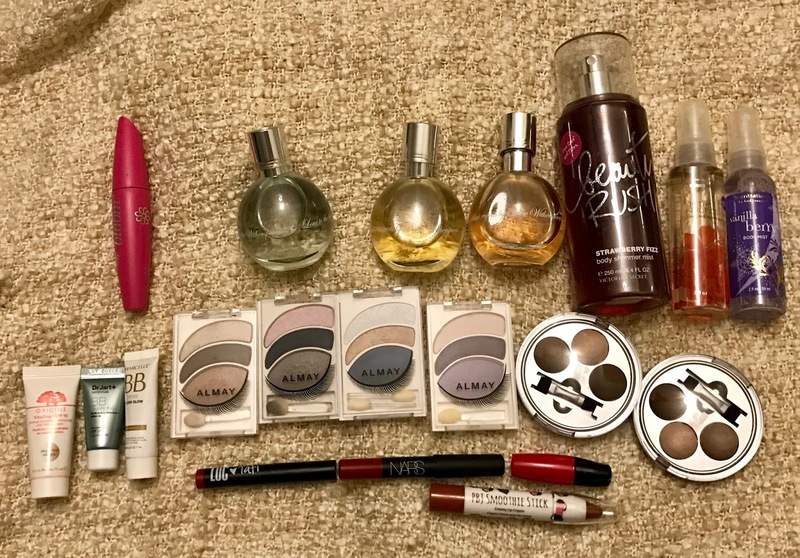 I am proud of myself for getting this many items out of my collection and can't wait to see what I use up in April!